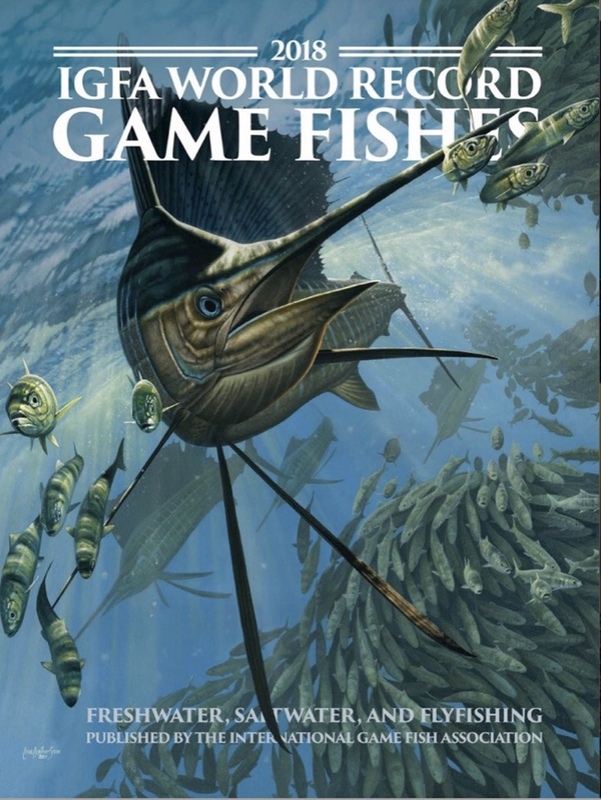 IGFA World Record Game Fishes is the world’s definitive publication of recreational angling records. The 2018 edition includes comprehensive information on all freshwater, saltwater and fly-fishing world records for all-tackle, line classes and length-based catch and release records, including new world records set in the last year. In addition, the publication features a wide variety of unique content like Ten Fishing Tips & Techniques from IGFA Hall of Famer Bill Dance, tales of angler achievement like the Billfish Royal Slam on the Fly and stories around important conservation topics, including one titled Swordin’ for Science. The 2018 edition is also available online as a digital magazine, providing IGFA members with access to the entire list of IGFA records and valuable content about freshwater and saltwater fishing techniques, personalities and conservation topics. Since 1939, the IGFA has set international angling rules and maintained world records for saltwater game fish. In 1978, its global rules and record-keeping mandate expanded to include freshwater species and fly fishing records when Field & Stream magazine, the Salt Water Fly Rodders of America and the International Spin Fish Association turned over their record-keeping responsibilities. In 1979, the IGFA first published freshwater, saltwater and fly-fishing records together in its iconic annual world record book. The 2018 world record book also includes information on IGFA member clubs, captains, weigh stations and discount programs designed to help recreational anglers connect with each other and access a wealth of relevant and timely information. As part of their membership, IGFA Lifetime and Corporate members will receive a printed copy of the annual 2018 IGFA World Record Game Fishes as a valued keepsake and easy offline reference resource. The publication will be available for purchase through the IGFA’s online store and IGFA Premium members will be sent a promotional code for purchasing books at a discounted rate. To purchase the world record book simply visit the following link: https://store.igfa.org/ProductDetails.asp?ProductCode=2018WRB. To learn more about the organization or join the IGFA as a member, please visit www.igfa.org.